Werner’s passion for dazzling flavours and natural ingredients is expertly translated into recipes anyone can cook at home. Every dish has a balance of sweet and spicy, fresh and dried, oil and acid, without relying heavily on wheat and dairy. The flavouring elements are simple—honeys, salts, fresh and dried herbs, fresh and dried chiles, onions, garlic—but by using the same ingredients in different forms, Werner layers flavours to bring forth maximum deliciousness. 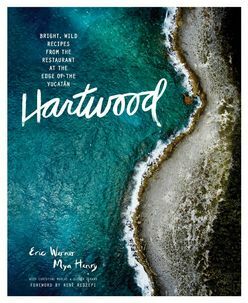 The recipes are beautifully photographed and interspersed with inspiring, gorgeously illustrated essays about this setting and story, making Hartwood an exhilarating experience from beginning to end.